Heating and cooling consumes more than half of the energy use in the average home. 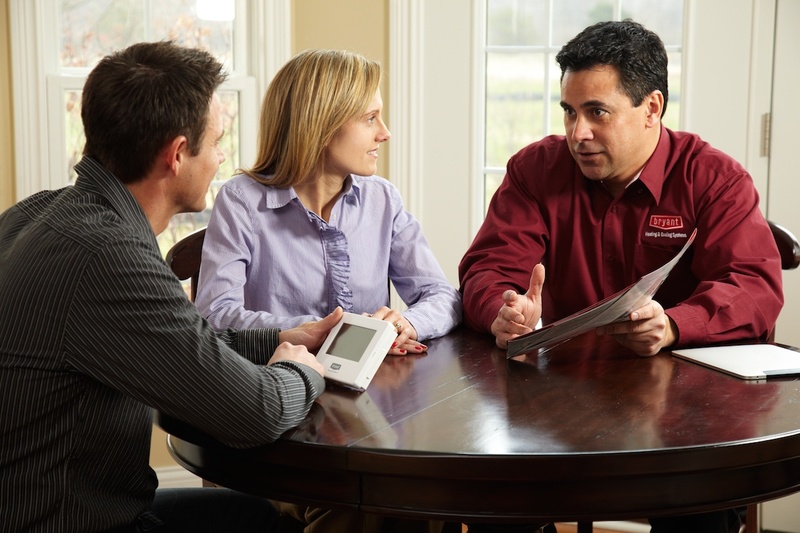 We want to do everything we can to help you save money on these energy expenditures. You can take advantage of the government, utilities and manufacture’s rebates and credits. Below are four ways you may qualify for financial saving with your energy needs. If you qualify, we will complete all of the paperwork necessary for you to get the rebates or tax credits. The provision extends the credit for two years, through December 31, 2016. When you buy Bryant, you get an experienced dealer, dependable products, and more. Now when you purchase a qualifying Bryant product or system, you can receive a rebate back on your purchase. You can receive a rebate ranging from $250 up to $1,500 when you purchase a complete Bryant Heating and Cooling system that qualifies for the promotion. When you purchase the Evolution Hybrid Heat™ System with the Evolution Control, you can receive a rebate up to $1,100. Other products qualify for varying rebate amounts, so be sure to ask us about your Bryant rebates. Getting your Bryant rebate is easy. We complete all of the paper work for you and Bryant sends you a check in the mail. Local utility companies also want to help you save money by giving rebates for energy efficient heating and cooling systems. Each utility company has its own rebates and these periodically change. In our area we work with three primary utility companies, Xcel, Dakota Electric. Center Point and Minnesota Energy Resources. We will complete any of the necessary paper work needed for you to secure your energy rebate.